Elizabeth Wyatt Sewing Patterns: Spring Is On It's Way! I have so many "must do" and "should do" sewing projects stacked up waiting for me, that I decided to add a fun, "really shouldn't do" project! Do you ever do that? I find when I can't get started on things, sometimes it helps to do something extra to get me going. I registered for Mollie Johanson's Wild Olive Spring Stitching Club and started making hexies last night. 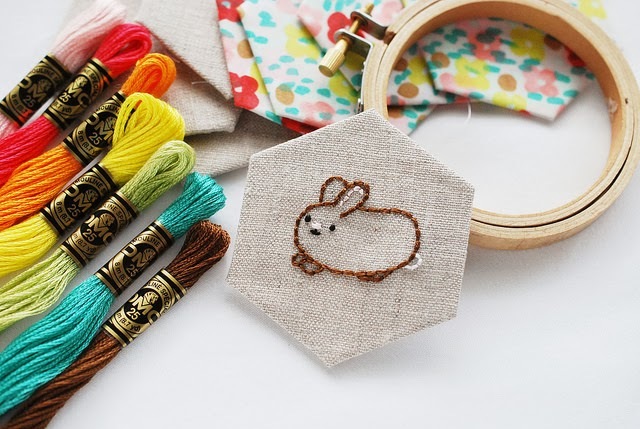 The project is a small (lap sized) spring quilt with Mollie's adorable spring embroideries. I've never made these before and they are really fun. Definitely not as difficult as they look! They are made using English paper piecing. All you need is a printer, paper, scissors, and a needle and thread. I made all 40 that I need out of this print. Only 163 hexagons to go! I plan to cut them and have them ready to take along when I bring the kids to their activities. I'm really looking forward to stitching the cute little embroidery patterns. They will be sent out on Mondays during March, April, and May. As soon as I registered, I received a pdf file with all of the material requirements, pattern and instructions for the hexagons, and the final layout of the quilt. 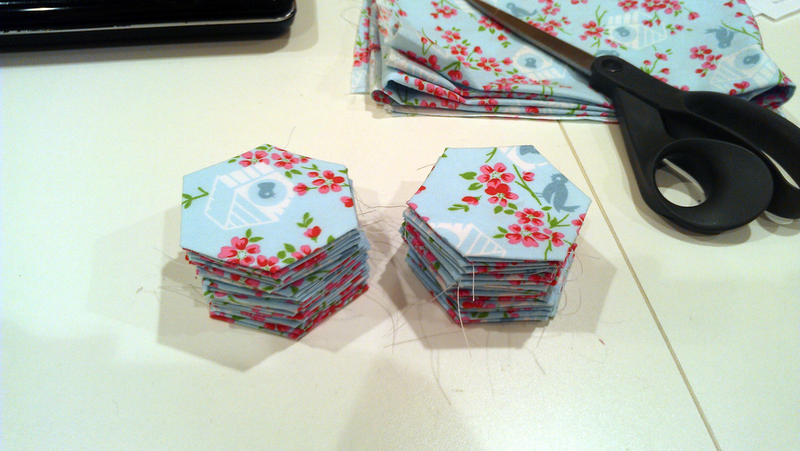 I'm glad that I registered early because I'm sure I won't normally be making 40 hexagons in one day. (I tend to get a bit over excited with new things). Let me know if you decide to join in.